Our product range keeps many more oils and fats at your disposal. Our ultimate goal is to satisfy our customers. 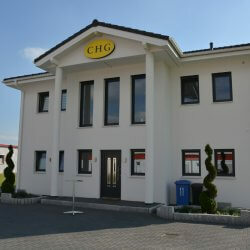 CARROUX HANDELSGESELLSCHAFT mbH is an international trading house for oleochemical raw materials. These include crude, refined and distilled oils, fats and their by-products of vegetable or animal origin. 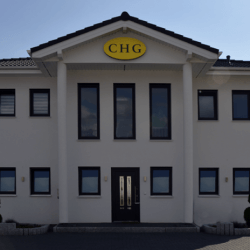 For this purpose, we are able to draw on a network of different reference sources and would like to draw attention to our special cooperation with Westrock MWV, LLC, for which we are responsible for the distribution of tall oil fatty acid and distilled tall oil and Diacid 1550 all over Germany. We produce various products such as tall oil fatty acid, tall oil, vegetable oil fatty acid, rapeseed fatty acid, dimer acid, tall oil distillate, pet oil or lard oil and many other products. Sample material will be sent to you on request. Delivery times are subject to the normal reservation of normal conditions. Dimeric acid for epoxy resins, adhesives and potting compounds, corrosion protection, lacquers and paints and printing ink industry and metalworking industry. We deliver in drums of 190 kg net or IBC container of 900 kg net. Lard oil for alkyd resin production, building chemicals, paints and inks, adhesives and potting compounds, corrosion protection, lacquers and paints and printing inks, metalworking, lubricants, soaps and textile auxiliaries. We deliver in barrels of 190 kg net, IBC containers of 900 kg net or with a tank cars from approx. 5,000 kg net. Tall oil distillate 25/30% for building chemicals, epoxy resins, adhesives and potting compounds, corrosion protection, lacquers and paints and printing ink industry and soaps industry. We deliver in barrels of 190 kg net, IBC containers of 900 kg net or with a tank cars from approx. 5,000 kg net. Here you can read our Imprint.